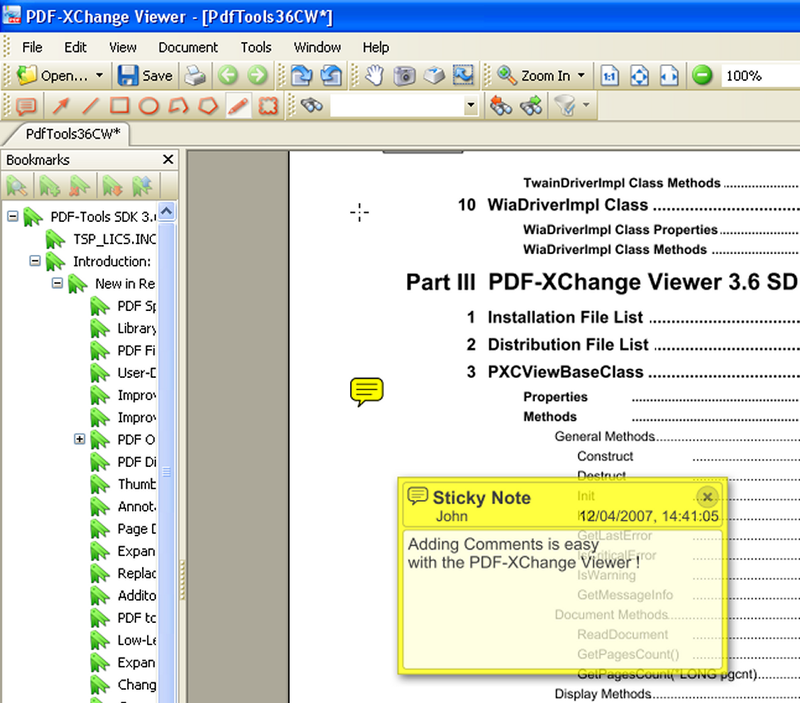 PDF-XChange Viewer lets you view PDF files on your computer or online just like other PDF readers can, but with "Typewriter Mode", you can type directly on any PDF page! Now you can fill out forms and add text to PDF documents that you would normally have to print out before you could write on them. Excellent PDF viewer. Fast and not at all bloated. The tabbing can be a bit annoying, but I hardly bring up more than two PDFs anyway. I was using this for a long time but recently switched to their free PDF-Xchange EDITOR, which is also free but has more editing functionality. I thought I'd notice some limited functionality in the free version or something and switch back to Viewer, but so far it's been better, as I did want more editing functions. Excellent software, what I'm using for years. It has everything, what you can find in Foxit or Adobe Reader, but it's more stable and faster. Now, I see, there is one more like Viewer - PDF-XChange Editor - with the huge futures kit and different UI. It works the same good as Viewer. low because obviously, you really can't fix stupid. and stupid is what the devs are for avoiding addressing bugs and complaints of the users. I like this software. I really really do. 1. The problem I have with it is that the dev's don't listen at all. Over the past year I've submitted to their site and on here discussing the obviously missing ability to open multiple PDF's at once, especially since it's tabbed! Instead, if you have to open multiple files, you must go through the motions of opening them one at a time. 2. When going to print a pdf or portions thereof, you can select for example pages 2 - 9. Done and it works. Now when in ANOTHER pdf, and going to print, it actually saves previous instructions (2-9) rather than resetting and defaulting back to "All"
For anyone that deals with financial records and things of the like, you know what I am talking about, and this makes it hard to WANT to use this program. In my opinion, this is the best! The Firefox plugin works flawlessly, unlike Adobe's. I haven't had any of the memory problems mentioned in other posts. Very Stable. The Paid version is even better. This is the one, plain and simple. Looked at ALL the other alternatives to Adobe and this is by far the winner. Bye bye Adobe, you pissed me off for the last time, most recently for CONSTANTLY wanting to reinstall the pdf viewer browser plugin(nppdf.dll), a security risk in and of itself. Even if I disable it in browser options(Firefox), it reappears later out-of-the-blue as enabled after updating... Updating that now seems to happen monthly for Adobe due to its train wreck of security holes. Forcing a plugin, how dumb is that? WAKE UP Adobe. Sheesh! I keep trying, they keep not listening. you STILL cannot open multiple files at once via the open dialog in the program even though the program is tabbed. It's ridiculous that they could leave it out even after multiple reviews and reports. Now a memory leak? unacceptable. Now lowering from a 2 to the bottom. ok seriously? Have posted problems over the course of several MONTHS and versions now, and still aren't fixed. Guess the devs don't really care. Still will not allow you to click on open and then select multiple files to open at once. Somthimes has problems with memory at export of PDF to images but otherwise is fine. I would like to have little **cleaner** interface. 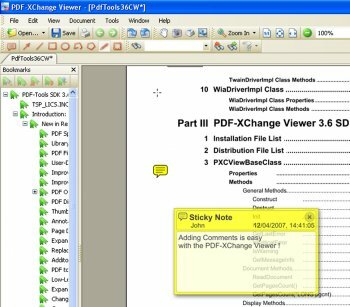 If you want to use Free versions there are Free PDF-XChange Viewer (http://www.tracker-softw...duct/pdf-xchange-viewer) for read/edit pdfs and PDF-XChange Lite for create pdf from any Windows apps (http://www.tracker-softw...roduct/pdf-xchange-lite). Also you can try all non-free features with no restrictions but you will get watermarks. PDF-XChange PRO includes bundle softs and it's cheaper then you'll decide to buy each of them separately (http://www.tracker-softw...product/pdf-xchange-pro).